Parking lot striping adds a fresh clean look to your parking lot. Clear visible marking prevent traffic confusion and congestion and most importantly promotes safety in your parking lot. 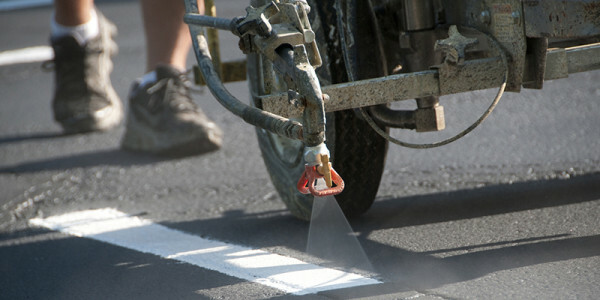 From fire lanes to stencils AEC is your parking lot striping and marking solution. AEC also provides striping services inside warehouse, mechanics bays, theme parks, arenas and more. The Americans with Disabilities Act (ADA) was signed into law on July 26, 1990, and is intended to make United States society more accessible to people with disabilities. 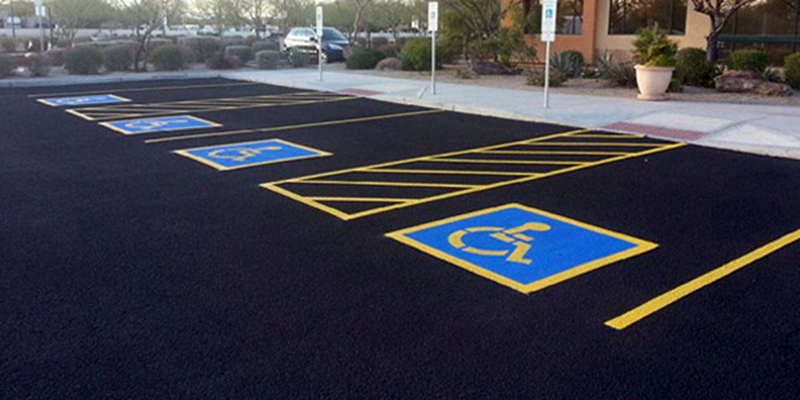 AEC professional can handle all your ADA requirements at your facilities parking lot. Maintaining your fire lane color is essential for curb appeal as well as meeting local fire code and promoting safety. AEC striping services will make sure you meet all local and federal fire codes with precise fire lane curb painting and markings.